When students are in the market for a new job or internship, they are often faced with the question… Should I call or email? This question seems to have no definite answer. There are pro’s and con’s to both and it is hard to deem one more effective than the other. 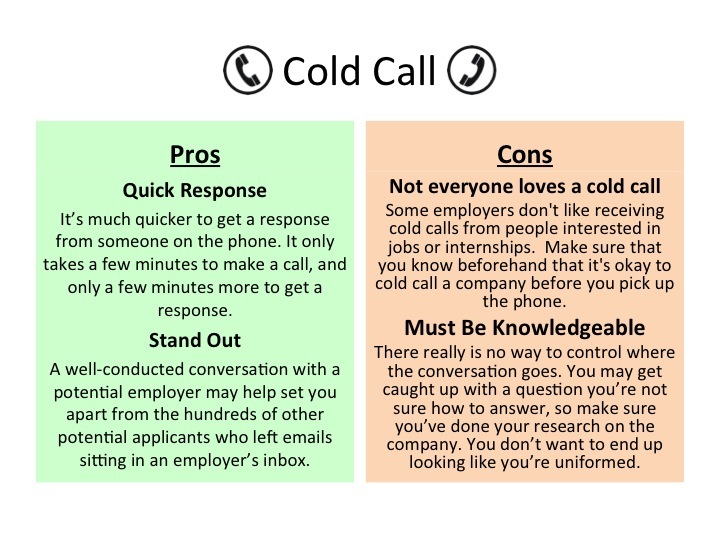 To help make the decision easier, let’s examine both cold calls and cold emails individually. Every company is different. If you have done your research, you should have an idea of which would be more effective, a call or an email. If you’re not sure, you might even combine the two. For example, start with an organized email, then follow up with a phone call a few days later so you can also add that personal touch to help you stand out among other applicants. 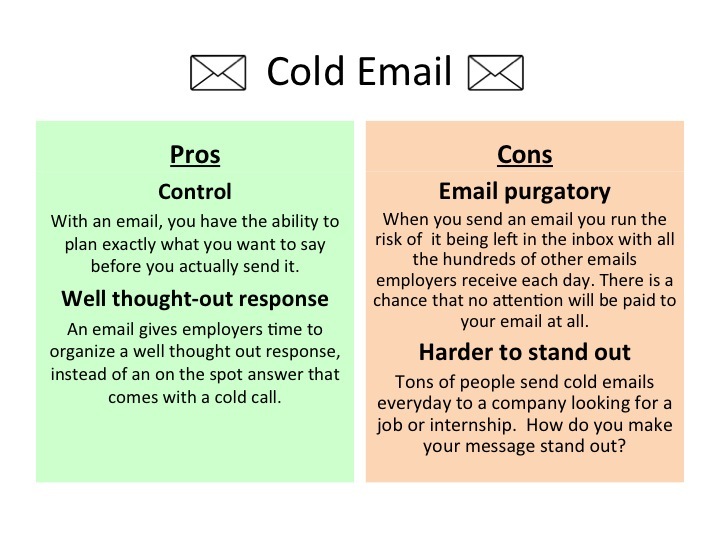 These are just a few main points of the cold call vs. cold email argument. What are your opinions? Which way has provided you with success? My thoughts: The fewer “cold” anythings….the better. Previous My Dream Internship: A Summer at Yahoo!